Back in November, I visited my sister in New York and one lunchtime she presented me with a platter of round slices of toasted french bread, smothered in melted cheddar and served up with this chutney on the side. She’d made the chutney to use up a glut of apples from an apple picking trip to upstate New York and I immediately knew this recipe had to go on the blog. 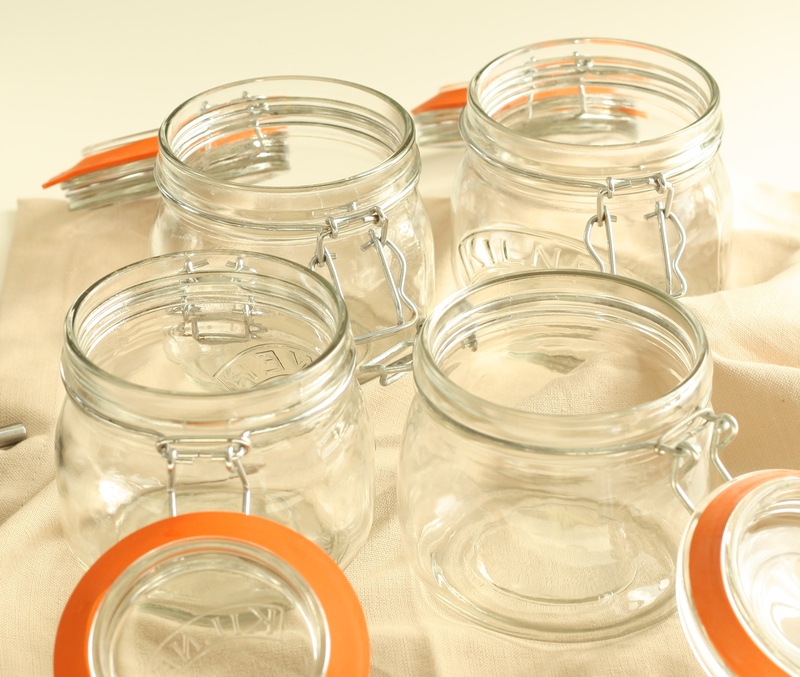 However, a lack of glass jars and me constantly forgetting to order them, combined with my preserving phobia, led to a 3 month time lag. But I’m so glad I got there. 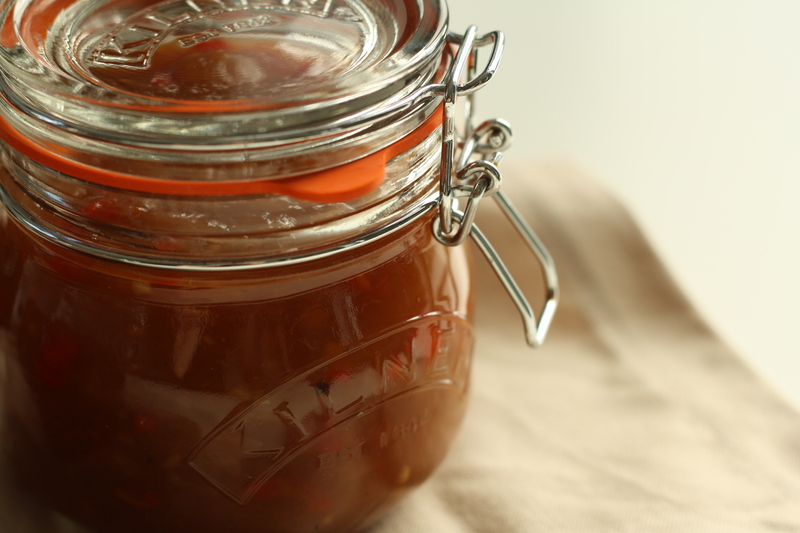 This chutney is gorgeously sweet with a major kick from the chilli. 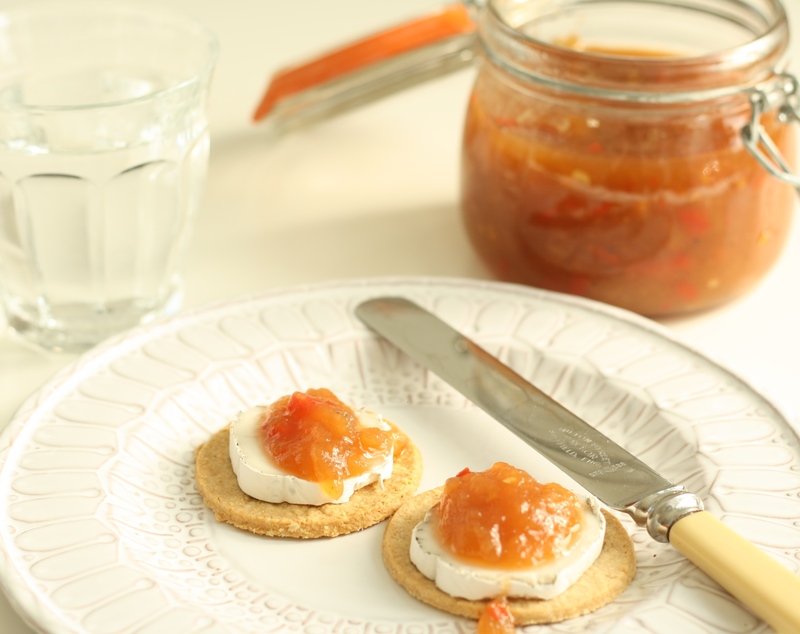 It is ideal with a good strong cheese, a mature cheddar, some creamy goats cheese or even a cheeky slice of blue and I’d happily scoff some with a handful of papadums or on the side of a curry, in place of mango chutney. If you want a chunkier finish I’m sure you could swap out some of the cooking apples for an eating apple that won’t break down so easily. But either way you’ll want to put it on everything! Peel, core and chop the apples into chunks and put them into a very large pan. Finely chop the pepper, onion, chillies and ginger and add them to the pan. Crush the garlic and add it together with the rest of the ingredients. 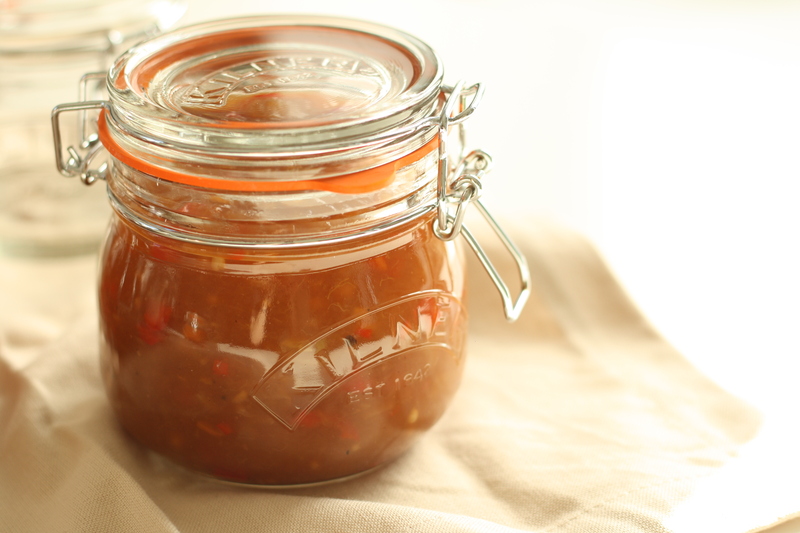 Spoon the hot chutney into some sterilised jars, seal them straight away and leave them to cool. 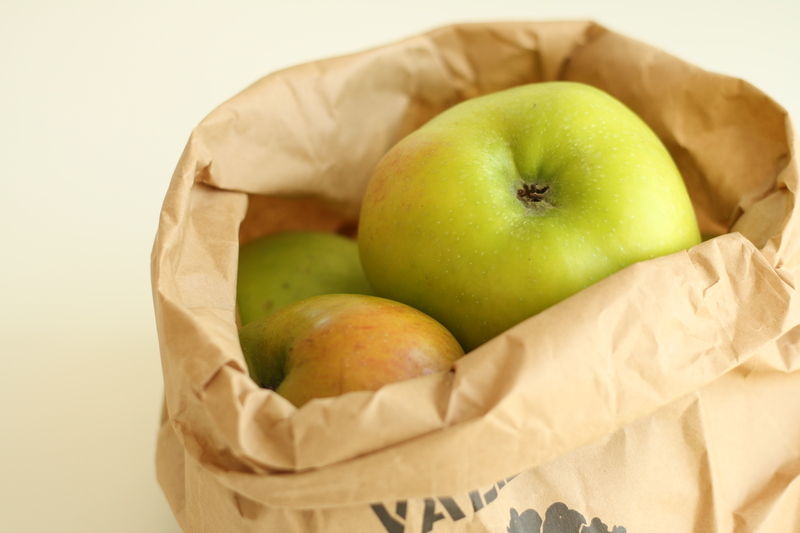 They can be stored in the cupboard until opened, when you should pop them in the fridge. 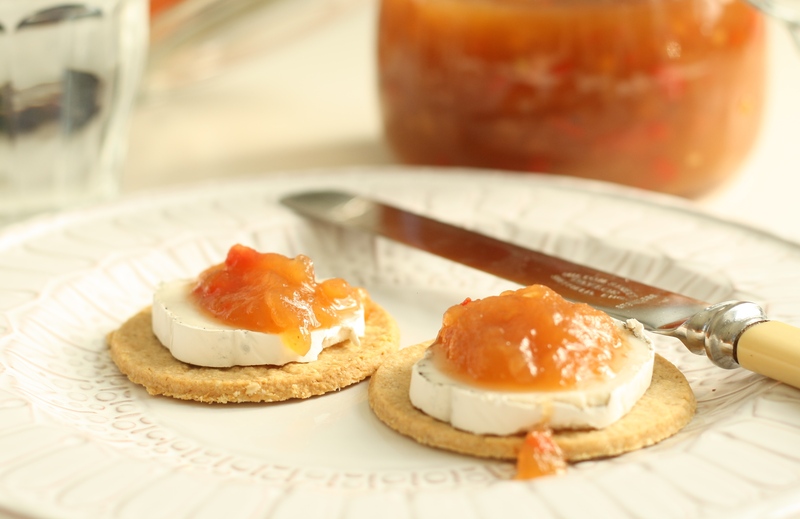 The flavour of the chutney will improve over a couple of weeks, so try to resist if you can! Sounds fab, going to make some tonight! How long will the chutney keep in opened? If you keep it in the fridge it should last a few weeks once opened.